Do you want to make a living selling people their dream homes? Then theCPP40307 Certificate IV in Property Services (Real Estate) could be the course for you. 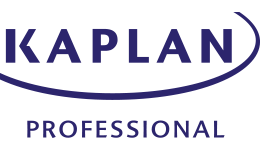 This flexible online qualification from Kaplan Professional will get you ready to apply for your NSW Real Estate Agent Licence and stay ahead in a competitive industry. This course combines the NSW Certificate of Registration Program and the NSW Real Estate Licence Program. As part of your Certificate of Registration, you’ll gain a comprehensive overview of the NSW property industry. As part of your Real Estate Licence Program, you’ll develop in-depth knowledge of the real estate industry, including property appraisals, property sales, leasing and managing rental properties, trust accounting and managing agency finance and staff. If you’re already working at an agency, then by the end of this course, you’ll be well positioned to apply for a promotion and work as a licensee or agency manager. Alternatively, you can be your own boss and open your own agency, or manage a portfolio of rental properties. This is an ideal qualification for anyone interested in pursuing a rewarding real estate career. It’s also an excellent choice for current property managers or sales agents keen to obtain their NSW Real Estate License. There are no entry requirements for this course, however, it is strongly recommended that applicants have a strong grasp of language, literacy, numeracy and computing skills. To become a real estate agent or property manager in Australia, you must apply for a Certificate of Registration with your state/territory regulatory authority. Before you can apply for your Real Estate Certificate of Registration, you must ensure you meet all eligibility requirements stipulated by your state/territory regulatory authority. * Covered in Part 1. These units will not be provided in the material for Part 2. Upon successful completion of this course, you will receive a CPP40307 Certificate IV in Property Services (Real Estate) from Kaplan Professional. Individuals will be eligible to apply for their NSW Real Estate Licence and work as a real estate agent, open their own real estate business or manage the rent roll of an agency. Those who wish to take their qualifications further can also undertake the NSW Auctioneer Accreditation program.